I was very fortunate to be able to meet the stars before the show started. Sometimes, as much as you want your steps to be calculated, nature just seems to have its way of saying 'Hey, I know you did not ask for this but I am arranging for you to have a quick photo op with the performers' and there I was, out of the lift lobby and they were there photo-ready. Man, I really need to start counting my blessings because I am pretty sure my gratitude does not measure to this! The sold out event was filled with affluent patrons whom most have witnessed Broadway and West End musical performances. Stars of The West End was terrific for those who missed the live rendition of these musical numbers. 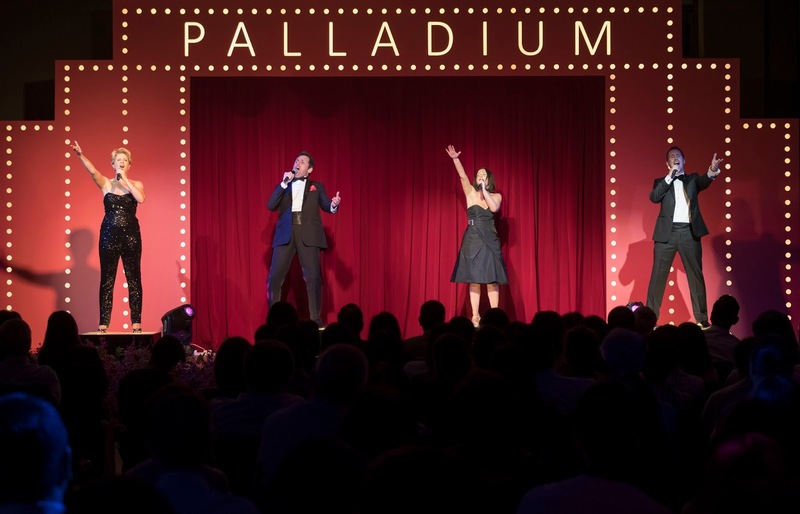 The show brought in prominent numbers from renowned musical titles like Les Miserables, Mamma Mia and Phantom of The Opera. 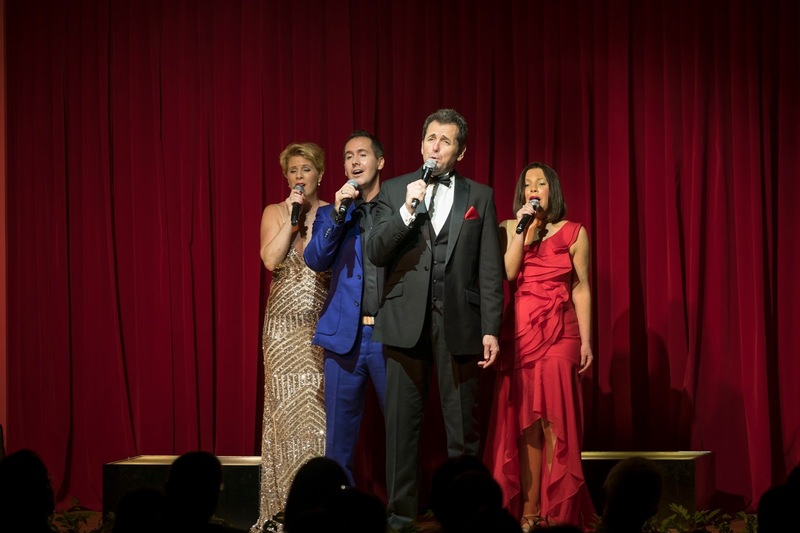 The Stars of The West End quartet mesmerized us with their strong and timbre voices! Audience were seen tapping their feet along, many clapped to the tempo and people like myself were actually awed at how Shona Lindsay was still able to harness on the high notes towards the end of Phantom of The Opera even after more than decade since her first appearance as Christine in the musical. While Phantom of The Opera high ends left me open-mouthed, the key for Don't Cry for Me Argentina somehow awaken the patriotism in me even though I am no Argentine. The emotions exuded by Jayne O'Mahony almost had me bursting into tears - just as how Eva would have wanted it! The songs performed were not all dark and sad. The ballroom was all rainbows and sparkles when they sang a series of songs from Mamma Mia and We Will Rock You that ended the show on a high note. The thing about musical is that the intricacy of performing lies on how one can radiate emotions and vocal techniques. It is not as easy to compensate on the scores when you are out of breath. Their voices were powerful and rounded so much so it was not only feet-tapping but it made me lip-sync to their enchanting voices. The absence of live orchestra demonstrates how just with four vocal chords they could enhance a neat stage with their vibrant energy. Truly, they are the Stars of The West End! Bring in a full musical show please! British Playhouse Theatre has been very active in promoting British arts production and this is heartening for those who loves them without having to travel! We were grateful for this show indeed!